See a pattern there? Apparently, not the same one as Dr. Kanner, who focused on faulty parenting. Perhaps surprisingly, he also noted the delayed motor responses, “According to Gesell, the average child at 4 months of age makes an anticipatory motor adjustment by facial tension and shrugging attitude of the shoulders when lifted from a table or placed on a table.” This was a common skill that his patients seemed to lack. All of this from the father of modern child psychiatry. That was 1943. The public is often fed media stories proclaiming “breakthrough” discoveries of the “earliest signs of autism.” Recent articles have reported on MRI scans, head lag, and new parental concerns indicating earlier diagnosis, Many books have been written on the subject and screening kits are available. Even my description of core hypotonia is simply another early sign of motor weakness. The earliest signs were detailed in the earliest literature. Feeding problems and low tone either leading to developmental delay or presenting as signs and symptoms of it, have been written about for 70 years. Yet, little progress has been made towards a more precise diagnosis; let alone etiology, effective treatment, prognosis or prevention of this modern epidemic. Earlier diagnosis can lead to earlier interventions and improvement. A thorough evaluation with a high index of suspicion will help identify even more at-risk youngsters. Increasing the number of diagnosed children should boost research funding. Let us hope that the focus shifts towards making a more precise diagnosis and assigning successful interventions to the various presentations of this condition. 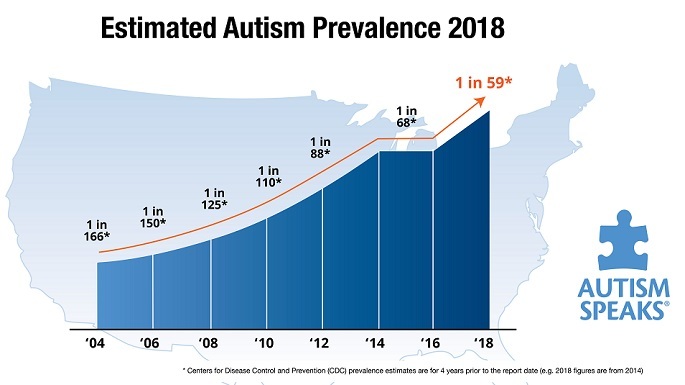 I fear that the new language of the DSM 5.0 and a continuous stream of debates about whether there are more cases of ASD interfere with such progress. Furthermore, thinking that autism is hard-wired and not subject to medical intervention often frustrates treatment efforts. So, for now, doctors such as myself working with families such as our patients will just have to do it ourselves. This entry was posted on Sunday, July 29th, 2012 at 10:46 am	and is filed under >ALL<, Alternative and Complementary Medicine for ASD, Earliest Red Flags. You can follow any responses to this entry through the RSS 2.0 feed. You can leave a response, or trackback from your own site.